"ICCECE'17 organized by Techno India University, West Bengal is indeed an innovative effort. I feel proud to be a part of this one-of-a-kind research initiative. We are overwhelmed for the participation of well known and eminent international scholars. I wish a grand success of this endeavour and all the very best to Techno India." "ICCECE'17 by Techno India University, West Bengal is one of the best initiatives in the field of research innovations. I am glad and overwhelmed to be a part of such an innovative program where the presentation of the international research papers was altogether newness in the world of technology. I am sure of the huge success of this creative endeavour and wish Techno India the very best for it." "ICCECE 2017 by Techno India University, West Bengal has raised the standard for publications in Advanced Technology with a fine 43% acceptance ratio. I am sure of the grand success of its 2019 edition, and wish Techno India the very best for it." "Techno India University, West Bengal is indeed exploring uncharted territories in the field of research and technology and the grand success of ICCECE 2017 bears testimony to the high quality of research innovations that this academic institute aspires to reach. An acceptance ratio of 43% has ensured the selection of only the finest and most innovative research publications which have been uploaded in the IEEE digital library. I feel immensely honoured to be a part of this prestigious conference which has undeniably arrested the attention of research scholars worldwide. I want to congratulate the conference team of Techno India Group for the collaborative efforts they have put in which has evidently translated into the phenomenal success of ICCECE 2017." "Techno India University, West Bengal is on its way of reaching the pinnacle of technological innovation and research contribution which has been reflected in the grand success of ICCECE 2017. As an academic institute, TIU WB has always believed in synergy between reputed educational organizations which justifies the active involvement of eminent professors from elite institutes such as IITs and ISI in this conference. Research scholars and academicians around the world have submitted a multitude of innovative research publications and the selected papers have been uploaded in the IEEE digital repository.  Owing to the state-of-the-art infrastructure of TIU WB, several international scholars have presented their research publications via Skype as well. I want to congratulate the entire conference team of Techno India Group for their incredible efforts which has led to the success of this endeavor. I am eagerly awaiting ICCECE 2019 and look forward to witnessing many such enlightening research publications." "From the very beginning of the journey, I am associated with Techno India Group .I am proud to be the keynote of this well organized and famous international conference by IEEE. 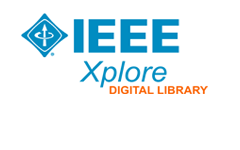 The selected research papers have been uploaded in IEEE digital library which is an indication of the selection of the best research innovations. I sincerely hope for the success of this grand endeavour and convey my heartfelt wishes to Techno India University, West Bengal for this noble initiative"
"ICCECE'17 conducted by Techno India University, West Bengal has been a creative effort in the field of education and research. I am honoured to be a part of this innovative exposure. The presence of eminent research scholars and academicians belonging to prestigious institutes such as IITs and ISI as well as international professionals has added a new dimension to this conference. I am sure of the big success of their 2019 Conference as well and hereby, convey my heartfelt wishes to Techno India Group." "I hereby congratulate Techno India Group for the grand success of ICCECE. The noble initiative integrating Engineering & Medical Science has a bright future in the times ahead. I am looking forward to many such innovative endeavours by this academic group." "